Not one to follow rules, Sabal Singh Shekhawat, even when in college, had refused to complete his degree.A� Now with his film, Fireflies, the director, producer and script writer has rejected formulaic racy action sequences and raunchy romances, to go the realistic and meaningful way. From Assam, Shekhawat came to Mumbai in 1990 and after four years as an assistant to ad filmmaker Shantanu Sheorey, he set out on his own with the production house The Big Picture Company and bagged accounts like Xylo, Hero Maestro Scooty, Jeevansathi.com and Kelloga��s Cornflakes among others. About his journey since, Shekhawat says, a�?I have been making ad-films for 18 years now and I think ad-filming is the best place to learn your craft.a�? While his first feature film,A� Kafan (written before Fireflies) was shelved due to budget constraints, Fireflies is an independent filma��produced by Wild Geese Pictures, a division of The Big Picture Company. The epiphany for Fireflies happened in 2005, New York, when Shekhawat was violently mugged. a�?Thata��s when I started writing the initial story. I basically wanted it out of my systema��on why there is so much anger in people,a�? shares the scriptwriter. As for the name, the 47-year-old compares fireflies to human beings. a�?Fireflies come out in the darkness without warning, and illuminate the forest and then vanish. Some people come into your life for some reason, some stay longer and some go,a�? he shares. A serious film, Fireflies is about two brothers based in urban India, a�?which is why most of the conversation is in English. It would be pretentious to try and do it in Hindi.a�? 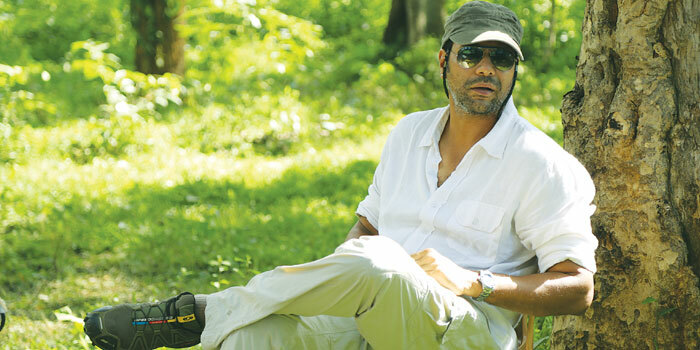 The filmmaker visited New York recently for the premiere of his movie at the New York Indian Film Festival. Moving on to the cast of the film, Shekhawat zeroed in on Rahul Khanna, Monica Dongre and Arjun Mathur. a�?I was sure that I wanted all the actors to be accessible, I wanted their time, space and wanted them to understand what is going on. I wanted people who wanted to be part of a different kind of cinemaa��not art, boring, festival kind of cinemaa��but realistic, something that everyone can relate to,a�? he says. Talking about the camaraderie on the sets, the director adds, a�?It has a lyrical quality to it that shows you that everybody is working in synergy.a�? Not a fan of the box office, the filmmaker says, a�?I was reading reviews of Happy New Year and it must have been embarrassing to read reviews of this sort about your film, though it has made a lot of money.a��a�� He adds, a�?Making films is not Bollywood. It is more open ended. Be it Iraq, Iran and Korea, they have good content coming out and this country had it 20-25 years ago. Let Bollywood be there, but there has to be space for more compelling movies,a�? concludes Shekhawat, who has never regretted not completing his degree. Inspiration: I grew up in a time before cell phones existed. Inspiration could include anything from just living, music, drama, literature or old classics. What sustains through history is human behaviour.